Good afternoon! 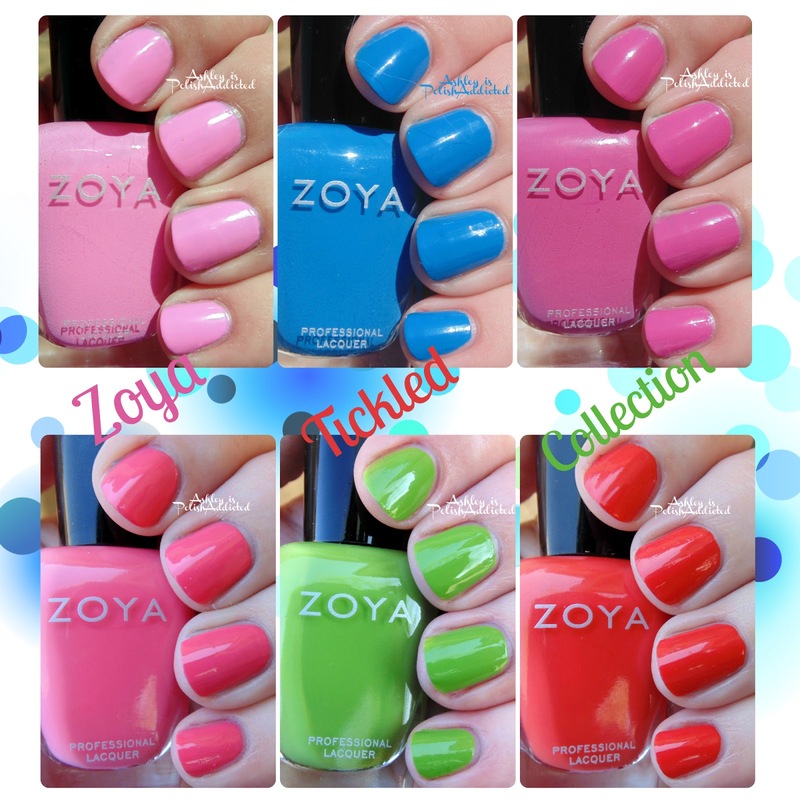 Today I have the Zoya Tickled Collection to show you! 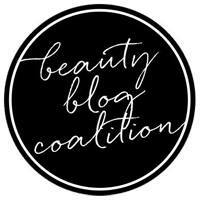 I'm sure you have probably seen these from several other bloggers already but you can never have too many polish pics, right? Zoya just released two complimentary collections for Summer 2014 - Tickled and Bubbly. Tickled is the creme collection and Bubbly is the sparkly collection; I will have Bubbly to show you soon! Happy Mother's Day to all the moms, fur moms, honorary moms, grandmas and aunts out there! I just wanted to drop off a quick post showing the manicure I did on my mom's nails for today. My mom loves butterflies and I had been wanting to try this for awhile so I decided to do it today! I'm pretty happy with how they turned out for my first try, especially since they were on someone else. (I am better at nail in general on my own hands instead of someone else's.) 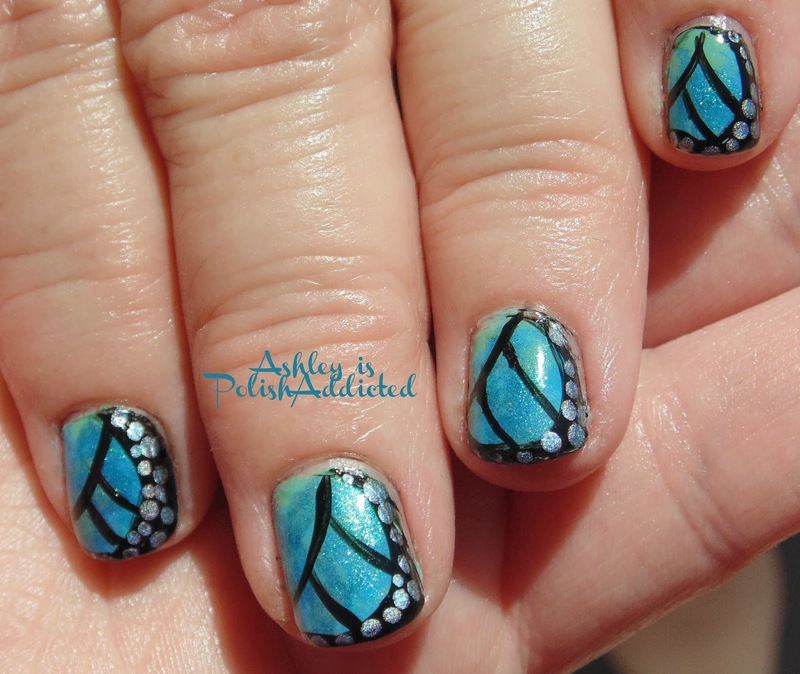 I used Adventures in Acetone's tutorial for help with the butterfly wings! I used several colors for the base (I didn't use the Saran Wrap method for my base; I just sort of stippled random colors over my base until I got the look I wanted). I will list the colors I used below.